Our standard COSHH assessment draws information from the Substance database and asks a series of detailed questions regarding the hazards and controls in place. This has a facility to reference multiple substances used in the assessment. It is a comprehensive assessment, though, and some of our users require a shorter document. We have therefore produced an alternative COSHH assessment for general industrial use of chemicals using a single substance per assessment. Information from the supplier data sheet is entered directly into the assessment document. The assessment records the activity being covered, groups of people at risk, hazards from the chemical and specific health risks. 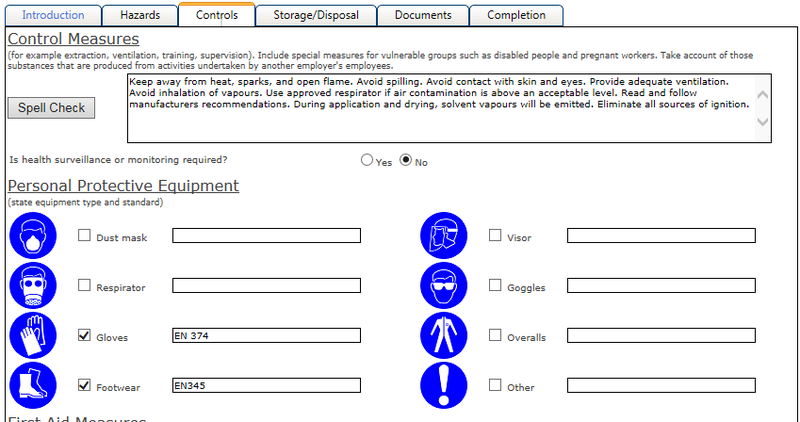 Control measures including PPE requirements and storage procedures are included. 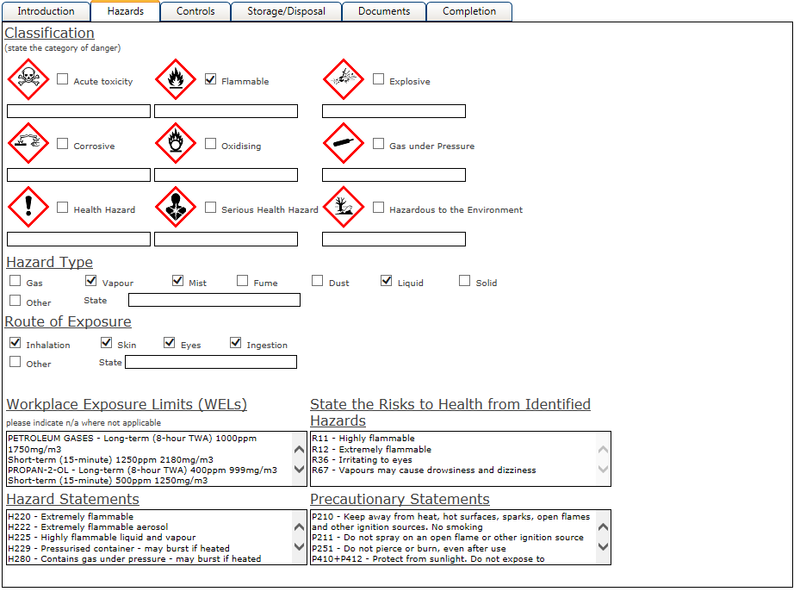 Assessments can be copied if a similar document is required elsewhere in the organisation or for a slightly different chemical.